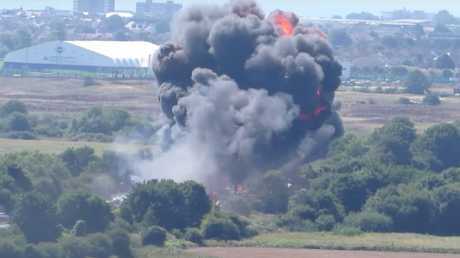 The doomed jet a second before it crashed onto motorist and air show spectators on the A27 road outside Brighton. The fireball caused by the 2015 crash, near Brighton in southern England, was so fierce a prosecutor said some of the victims had quite simply "disappeared". 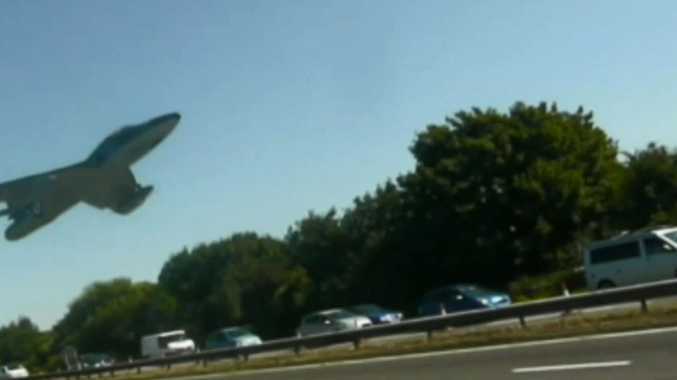 In a video shown to the jury, the plane can be seen rapidly descending on cars seconds before it crashed, killing 11. Prosecutor Tom Kark QC warned jurors they might find the footage, which was filmed by a bystander standing behind a number of those who died, as "distressing", the BBC reported. "You are in effect seeing these gentlemen in the last few seconds of their lives," he said. Another video shows the jet as it approaches at speed the busy A27 road, which connects major towns and cities on England's south coast. 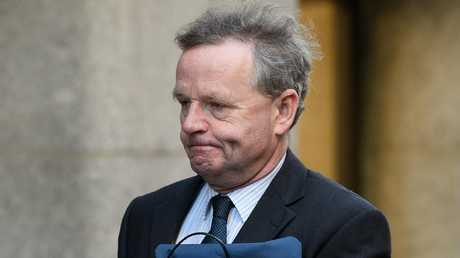 Mr Kark told the court the crash was due to "pilot error" as the jet was too low and too slow to complete the stunt. He said Mr Hill had played "fast and loose" with the rules and appeared to have a "cavalier attitude" towards safety, The Sun reported. "At the crucial point when Mr Hill committed to the downward part of the loop, there was a serious and obvious risk of death to those on the ground - a risk that was to be tragically realised," Mr Kark said. 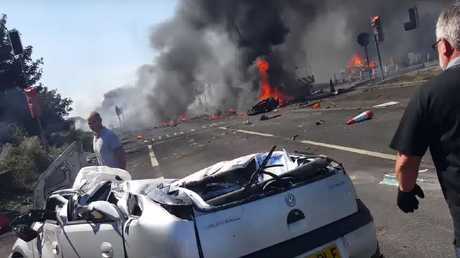 "He watched as the aircraft descended down onto the road and exploded. He heard a bang and started running as fast as he could away from the crash, aware that the wreckage would be coming his way," he said. "He felt an enormous heat and fell to the floor. People that he had been standing next to had simply disappeared and the motorbikes he had noticed earlier were now just burning wreckage." 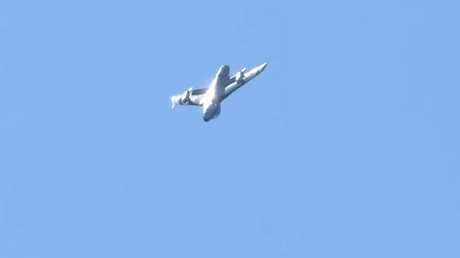 Expert witness Jonathan Whaley, who has flown more than 1000 hours in a Hawker Hunter, said Mr Hill made a "conscious decision to pull through the loop even though he appeared to be too low to do so". He described that as a "cardinal sin". Karim Khalil QC, defending Mr Hill, said his client could have been paralysed by G-forces and was "unable to properly and fully control the aircraft". 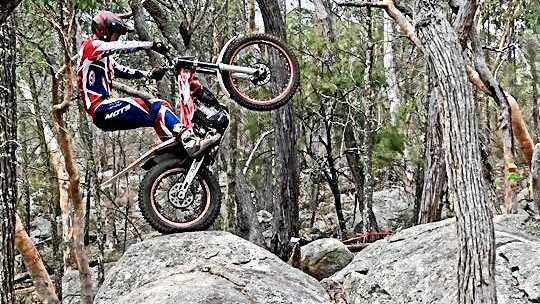 "He is not a cavalier pilot and not a pilot who, as is suggested, plays fast and loose with the rules. Quite the contrary. He did not deliberately fail to take evasive action," Mr Khalil said.